T oday I created a really simple but statement look, using two new bold Avon products. 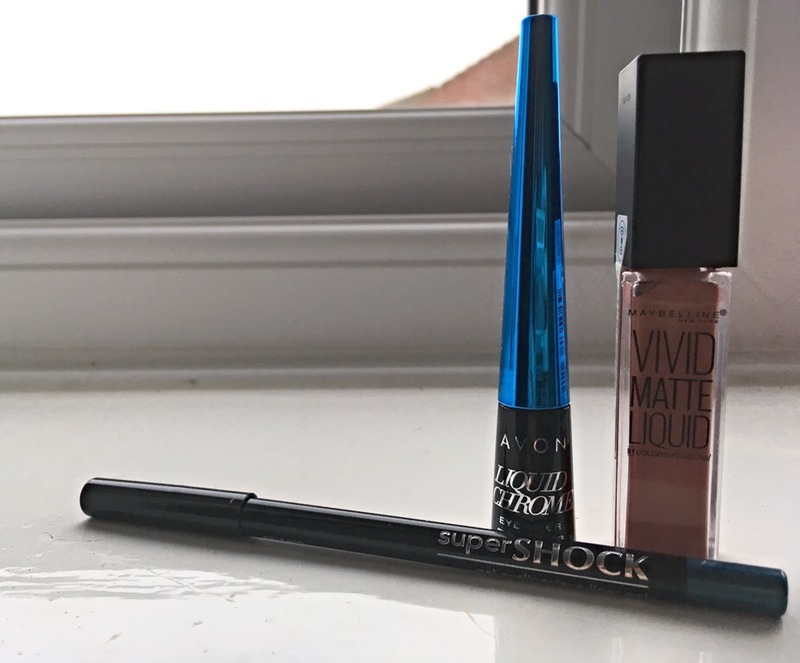 Using the Avon Electric Blue Liquid Eyeliner to create strong flicks, I then covered the inner waterline with Super Shock Aqua Pop Gel Eyeliner – two very similar colours which compliment each other nicely. The liquid liner offered an immediately smooth application, with a lovely metallic look to match. All the while, the gel eyeliner provided a long-lasting coverage along the waterline, boasting a ‘punching’ colour. I then completed the look with a gentle dusting of a gold Benefit shadow underneath the water line. As you can see in the image above, I used the Maybelline Vivid Matte Liquid lipstick – apologies, I can’t remember the shade and I’ve misplaced it somewhere throughout the duration of the day! However, I’m going to be doing a full look/review featuring the entire Vivid range soon (I have so many colours to test!). I love this look! Very modern, while still Being classic (and classy)! I really love this look! How did you get the Maybelline Vivid Matte so matte if you don’t mind me asking, I can’t get mine to lose their sheen! I might have to try it! Berry Boost is practically glossy if I don’t blot like crazy! I love this! I was browsing the aisles just today looking for a bright liner (i’m really looking for a bright purple). i’ll have to check this out!